Crafts are a fundamental part of childhood and learning to express creativity. You can shop our online toy store for the best selection of Clay Dough and Modelling products for your child's artistic expression. Play-Doh, the classic favourite modelling compound, is available in many specialty sets. You can buy Play-Doh sets with extrusion tools that help your child create realistic copies of everyday objects. Give your child the Clay Dough and Modelling sets they want to bring their creative ideas to life. Mr Toys can ship your Clay Dough and Modelling products to you anywhere in Australia for convenience and savings. Play-Doh is one of the most iconic and classic children’s toys on the market today. Though the compound was first developed and marketed as wallpaper cleaner, a class in the US started modelling and crafting with it like they were playing with clay. The creators realised that they had a great product on their hands. The compound was first introduced in this way at an educational convention in 1956, and it was immediately a hit. Since then, the brand has grown to become a household name among any family who has ever had children. The compound comes in multiple bright colours and is sold with certain accessories to assist with modelling different shapes. Playdoh really helps a child flex and mould their imagination and creativity. While everyone who has ever played with the compound remembers making their first “snake”, each person begins to learn different ways to mould the compound and use it to create more complex creations. While experts can create detailed little figurines, even the little ones making snakes and balls are exercising their brains. The compound is non-toxic and perfectly harmless, so even the children who decide to take a bite out of the hamburger they’ve just created will be safe. The compound is sold all around the world and can be purchased for a relatively small cost. The value that you get from the compound is undeniable, though. Playdoh is a toy that has been enjoyed for generations and will continue to be enjoyed for generations more. 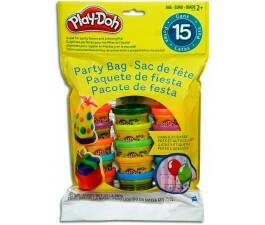 Thinking of Buying Play Doh Online? Great Idea. Remember sitting at a little table with your friends sculpting a masterpiece out of Play-Doh? Play-Doh is a fondly remembered, ingrained part of most childhoods because of how educational, fun, versatile, and just plain awesome it is. Did you know that Play Doh originated back in the 1930s as a wallpaper cleaner? It was quickly discovered what a great modeling compound it was, and eventually Play Doh as we know it was born. Less than a year from the time it was first sold as off-white modeling compound, Play Doh evolved to three colors, and continued to expand into the rainbow we know and love. Play-Doh is a wonderful toy for your little ones to play with because it is non-toxic and won’t stain your clothes or walls. Play Doh helps your child strengthen his or her little hands and improve motor skills. However, don’t think for a minute that Play-Doh is only for kids. When you buy Play-Doh online, you may want to consider picking up an extra container or two – you might find yourself tempted by nostalgia and the stress relief that comes with squeezing, pressing, pulling, and kneading a great-smelling gob of Play Doh. Just don’t be jealous if your child’s work of art is vastly superior to yours. Toy stores, departments stores, drugstores – the places where you are likely to find Play Doh are often crowded, far away, or not open when you are available to shop. Avoid all of the hassle that normally comes with shopping and check out Mr Toys. Mr Toys has an excellent selection of Play-Doh toys available. Shop any time you want and never stand in line at Mr Toys. Whether you are in Sydney, Brisbane, or elsewhere, it can be much faster and easier to buy online, and Mr Toys is a fantastic place to shop. Why Buy Play Doh Online? You can buy Play-Doh online in convenient 2, 4, 8, or even 24-packs. 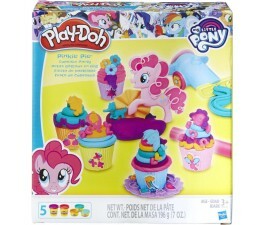 There are also many fun products to enhance your Play Doh experience. For example, you can buy cookie-cutter tools to create many different shapes. The Prettiest Princess Castle comes with the castle, three Princess figurines, and six cans of Play-Dohmodeling compound. The Disney Princess Spin & Style Cinderella set allows your little fashion designer to create beautiful gowns, jewelry, and other accessories for the spinning Cinderella figure – and this one comes with a sparkly Play-Doh compound for extra dazzle. For something different, try the “Story of the Three Little Pigs” – a Play Doh set that allows users to recreate the beloved tale, complete with the three houses and the Big Bad Wolf. Don’t forget accessories like rollers, cutters, and stencils. The list of Play-Doh possibilities is seemingly endless, and any or all of them can be yours with just a few clicks. Pick out something to surprise your little artist with today by buying some Play-Doh or a Play-Doh set online.